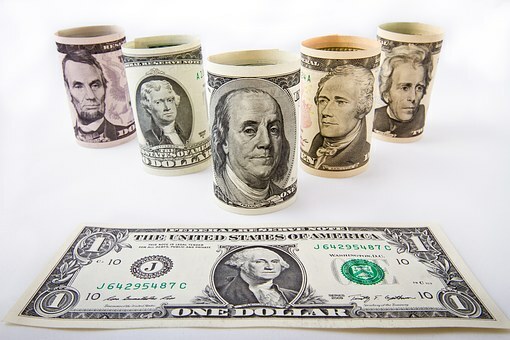 How trading the best biotech stocks can make you a millionaire (plus I show you how to get a free biotech trading training webinar and book). Trading biotech stocks can be risky so it is wise to learn from the best people. I love this Kyle Dennis webinar (below). The Biotech Breakouts webinar explains Kyle’s strategy in great detail. The biotech sector is one of my favorite sectors to trade. I learned how to trade biotech stocks from Kyle Dennis. Today, I want to discuss a biotech stock trading strategy that has worked extremely well for me over the last year or two. This is a 3 step strategy that you can learn very easily (for free!). Before I launch into the strategy, I want to start with a few of the reasons that I love to trade biotech stocks. Hopefully I can convince you that biotech stocks can be worth trading. Our readers love this free biotech stock trading webinar that teaches you everything you need to know about biotech catalyst trading! This Kyle Dennis webinar will change the way you trade! Kyle shows you how to trade biotech stocks to minimize your risk and maximize your potential reward. So don’t miss the Biotech Breakouts webinar, it is 100% FREE with no obligation to buy anything. The best biotech stocks are the stocks of companies that are at the forefront of biotech drug development! Learn all about biotech catalyst trading! Biotech catalyst trading is my primary method of trading biotech stocks. Basically I find a stock that has a catalyst date (something like an FDA decision) and I buy in months before that date at a strategic entry price. Often I will use pullbacks to a moving average as a buy in point. 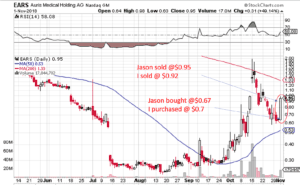 The idea is to let other traders buy in (long) after you have established a position in a stock. People will buy in with the idea that they can profit from the catalyst event. My trick has been to sell before the event for a profit and never risk holding through an event. I learned this from a brilliant biotech stock trader called Kyle Dennis. You can read my review of Kyle and his biotech catalyst trading strategy to learn more. Biotech catalyst trading relies on real science! A few years ago. I learned that the main appeal for trading biotech stocks are the ‘catalyst’ events. Biotech companies have to jump over so many hurdles to bring a new drug or product to market. The hurdles are the catalyst events, usually some significant milestone in the commercial journey. The companies in the biotech sector are involved in some of the most exciting, life-changing product developments (usually drugs) and the successful completion of a catalyst event usually means a massive increase in the stock price. Watch the FREE Biotech Breakouts webinar HERE to learn Kyle’s strategy in detail! 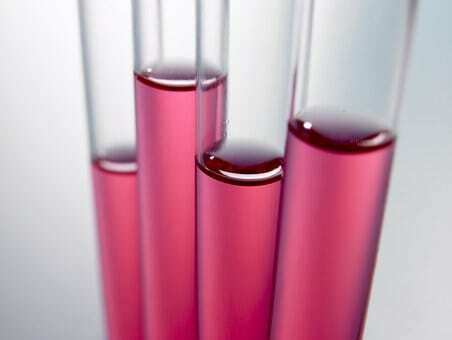 The catalyst events make the biotech sector a very unique and high reward area of the market. Fortunes can be made over night with biotech stocks but they can also be lost. You really have to know what you are doing in order to make money consistently in the biotech sector. The massive volatility of these stocks is what makes it possible to make unbelievable profits in short periods of time. The trick for me has been to find a solid trading strategy that minimizes the risk and maximizes the rewards. Learning how to trade biotech stocks changed my financial life forever! Trading biotech stocks can be extremely lucrative! Biotech Companies Release Data Regularly: Data is information that a biotech company releases regarding the progress of a new drug that they are developing. If the data is good, the stock will usually have a huge move up in price. However, if it is bad the stock price usually declines. I have one rule – never hold through a data release. If the data is disappointing, the stock can lose 50% or more of its value in a few hours, often pre-market. Biotech Stocks Lead The Market In Performance: The biotech index is up more than double the S & P 500 over the last few years. Biotech stocks just do extremely well in today’s market. Biotechs are Low Float and Small Cap Companies: Many of the biotech companies are worth less than $1 Billion. The fact that many of the shares are held by insiders and institutions means that there are often very few outstanding shares to trade. This leads to huge price movements when good news hits. Large Companies Buy Smaller Biotech Companies: Large biotech companies have huge profits and they love to buy up competitors or exciting new companies to add products to their inventory. When rumors start about a company acquisition, often a stock will increase dramatically in anticipation of the event. 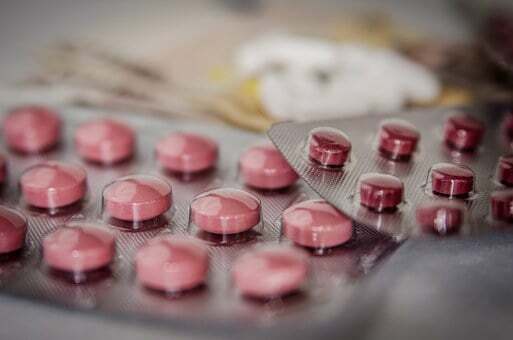 Drugs are VERY profitable: When a new drug is approved by the FDA there is a period of time that any other company cannot produce a generic version of the drug or compete in any way. This means a new drug is extremely profitable for the company and this is reflected in the stock price. Very few, if any, other industries have this advantage. This is just the start of a long list of reasons about why you should trade the best biotech stocks. This is truly a unique market sector and one that can lead to huge profits – if you trade the stocks carefully. Here is Kyle Dennis explaining the benefits of finding the best biotech stocks and why he loves them! Learn all about biotech catalyst trading! Let Kyle show you how to trade biotech stocks. It is not easy to find the best biotech stocks to buy now. You have to be pretty proactive and be continually searching for stocks that have the potential to make huge price moves. Here is a brief summary of the steps to successfully trading biotech stocks. Learning how to trade biotech stocks does not have to be difficult – here are the three simple steps that you can take today to learn how to trade biotech stocks. Step 1 in this strategy is to find a biotech stock with an upcoming catalyst event that will act as the fuel to make the stock price move up rapidly! I have subscribed to a great resource called FDA Insider Alerts that makes finding these stocks very easy. 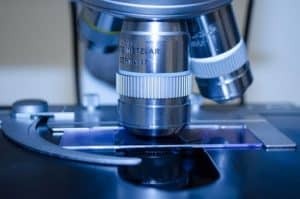 Kyle Dennis sends out a weekly report that shows all the biotech stocks he has found and provides all the details that would take me hours to find for each stock. The service includes details on any upcoming catalysts, due diligence on why he thinks the stock will increase in price and much more. It saves me so much time! Check out my full review of FDA Insider Alerts for more information about the service. I am also subscribed to Kyle’s other stock trading service called Sniper Report. Sniper Report is a long-term biotech trading service that sends you full reports on stocks that have the potential to double or triple in price over a longer term time frame. Sniper Report is a total steal at just $99 a year! Kyle Dennis finds the best longer term stocks and sends you full reports on his due diligence. A truly amazing service that I could not live without! You can learn more about all of the biotech alerts services that Kyle Dennis offers by clicking here and signing up for his free webinar, free eBook and training webinar. Take advantage of this offer – it is worth several hundred dollars and Kyle is offering it all for free! 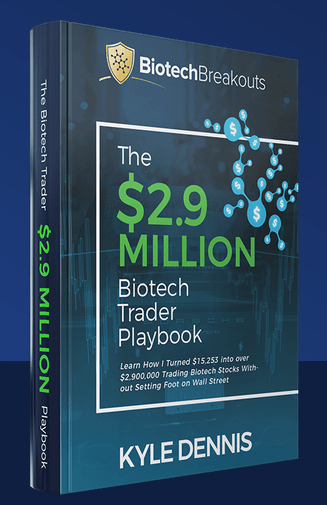 At the end of the Kyle Dennis webinar, you will get access to Kyle’s book called The $2.9 Million Biotech Trader Playbook and his advanced trading video series. Here is a great video that shows you how to find the best biotech stocks using Finviz. The best biotech stocks that I have traded nearly always have a combination of factors that drive their price action. You want to find stocks that have a bullish chart pattern AND an upcoming catalyst event that will likely affect the price in a big way. In the biotech industry there are many different events that are considered potential catalysts for a stock. Here is a list of some of the most common events that act as catalyst events for a company. You can find when these types of events that are occurring for all the different biotech stocks by checking out BioPharmCatalyst.com. Often the best catalyst dates are the Phase 2 and Phase 3 data release dates. Generally, the price of a biotech stock will increase as these dates approach. This is in anticipation of good news – so beware if the news is not so great the stock price can take a big hit. I am a technical trader so I love to combine great quality stock charts with an upcoming catalyst. This has always led to the greatest success rate and biggest gains for me. Making sure that you are trading a great chart is crucial to biotech trading success. The idea here is to combine an amazing chart pattern with a catalyst event. This works well in all market sectors but it works particularly well in the biotech sector. 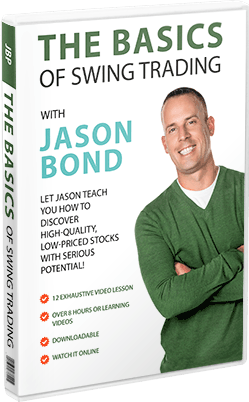 My favorite stock trading chart pattern is one that I learned from Jason Bond. It is called a continuation pattern. It is an extremely well-known stock pattern and it is extremely simple to learn and use in your trading. I wrote an article all about this chart pattern and how I use it to trade stocks. Basically a continuation pattern is seen when a stock makes a big move up in price, the price then pulls back and stabilizes. What then happens is that the price then continues upwards because all the people taking profits or short sellers have left the stock. This only works if the news that initially made the stock move dramatically is fundamentally good news. A continuation pattern seems to reward patient traders! Here is an example of a continuation pattern in action. In early March ROX stock rapidly increased in price and then retraced in price. This is known as Fibonacci retracement. I learned this chart pattern from Jason Bond and Kyle Dennis and it is one of my favorites! You can learn about more details from the world expert on this trading pattern by checking out his free trading webinar. Do not miss this Kyle Dennis webinar! 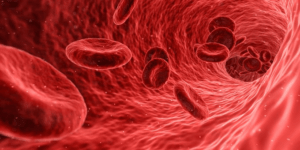 When you combine catalyst trading with excellent chart patterns you will be amazed at the potential gains you can make trading the best biotech stocks. Managing the risk is probably the most difficult part of trading biotech stocks. This is because the previous two steps can be learned from expert traders. You can get stock picks from Kyle Dennis that have a high potential to explode in price. However, managing the trade is something that YOU are responsible for and it is where people often mess up. If you don’t manage a trade well then you can turn a profitable trade into a horrible loss or vice versa. This is where experience and practice come in. Here are my three top tips for managing your trades. Never hold through a catalyst event. Just trade the run-up in price as the even approaches. When you are up significantly in a stock trade – take some profit! Let the rest of the shares continue if you want to and you totally believe in the stock. Cut losses quickly. Do not let a 10% loss turn into a 25% loss. This is what WILL happen if you don’t cut your loss and just hope that it will come back up. I hope that I have clearly outlined some of the reasons that I love to trade biotech stocks. This is an extremely exciting and potentially profitable market sector and it can lead to some amazing profits. I have tried to include links to as many free biotech trading resources as possible throughout the text. You can also find links to other great free resources to help you find and trade the best biotech stocks. Do not miss this Kyle Dennis webinar —–> FREE BIOTECH TRADING WEBINAR! Good luck trading and Learning all about biotech catalyst trading! Kyle Dennis webinar and free eBook! Just click the pic. Learn all about biotech catalyst trading! Trading the best biotech stocks has changed my life – will it change yours? Be careful trading biotech stocks they can make you a fortune but they can be very risky. Biotech catalyst trading is my favorite way to make money with biotech stocks. Watch the FREE Biotech Breakouts webinar HERE to learn Kyle’s strategy in detail! Hi Wesley, great article. I did a lot of biotech run-up trades in 2014-15 when XBI was in a big bull run. Think the most important point you made was selling before the catalyst. It’s ok to leave a little in but it’s an absolute gamble, even positive results can lead to a ‘sell the news’ event! Thanks Sam – thanks for your comment! I couldn’t agree more – selling before the event is critical. Sooner or later you get hit hard if you make a habit of holding through FDA announcements etc. I try never to get greedy for those ‘home runs’ and just try to play the run-up. It is a surprisingly simple strategy that works really well. Do you think it is a good time to engage in biotech trades? As Sam highlighted that as in year 2014-15 XBI was in a big bull run. Do you suggest any other invest tip to me, as a beginner I want to invest in the right trading business. Hi Teena, it seems to always be a good time to invest in biotech stocks! My tip for you is that this year 5G stocks will likely be HUGE winners. Think Cell phone companies!